He's well-connected in the conservative movement. His group, the American Center for Law & Justice (ACLJ), was founded by Pat Robertson.Argued 12 cases before the Supreme Court and made a speciality of fighting high-profile religious liberty cases. Sekulow fought against the "Ground Zero Mosque" and during that effort Trump offered to buy the site. Sekulow also appreciated Trump's public support of his campaign to free Saeed Abedini — an Iranian American Christian pastor who was imprisoned in Iran. 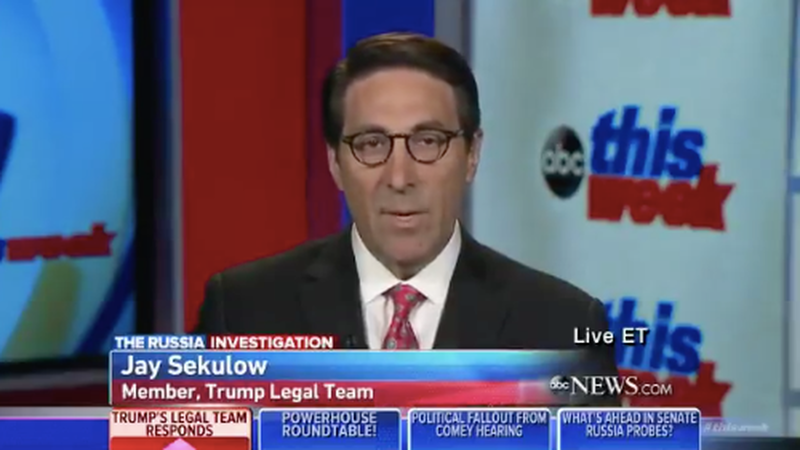 Sekulow and Trump share a taste for Brioni Italian menswear.